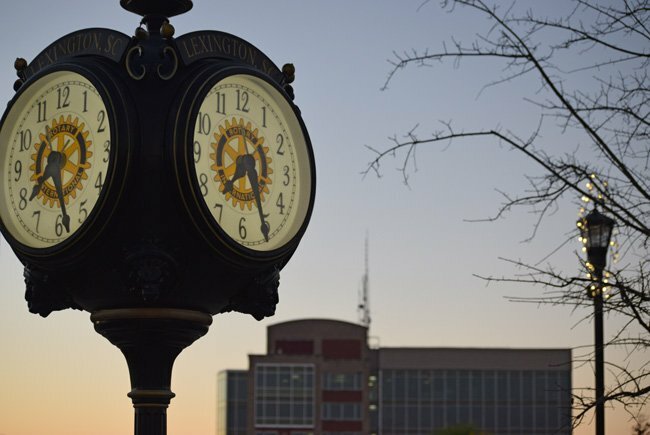 Lexington‘s town clock flanks the courtyard plaza of the county’s courthouse. Some view this busy intersection of Lexington where the clock stands as a perfect example of the character of this midlands town. A place where the old meets the new as the town clock stands at the new courthouse complex while also facing the old courthouse across the street.